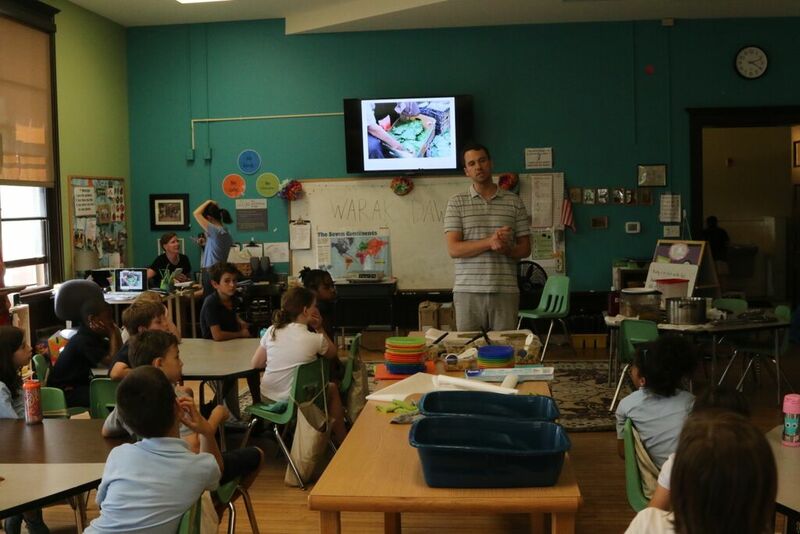 Conflict Kitchen worked with 70 third-grade students from Pittsburgh’s Environmental Charter School. The students participated in two workshops that took place over the course of three weeks. The first visit presented the history and mission of Conflict Kitchen and introduced our focus country, Palestine. A week later, we returned with kitchen staffer John Shaver to do a cooking demonstration of warak dawalie (stuffed grape leaves). 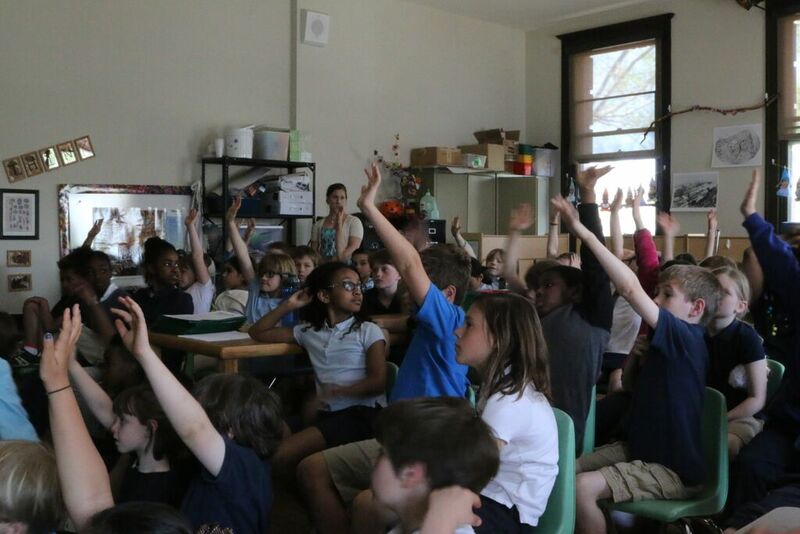 Three classrooms of third-graders rotated through the room over the course of the day. John’s cooking demonstration was interspersed with images and stories of Palestinian culture and cooking. Students took home ingredients and were encouraged to make their own warak dawalie. While the food was cooking, the students created dining areas and asked questions pertaining to Palestine’s food culture. Discussion ranged from John’s experience visiting Palestine to issues of food scarcity and food distribution within Gaza and the West Bank. The teachers had worked with the students between our visits, discussing the food culture of Palestine and helping the students prepare questions for our discussions. 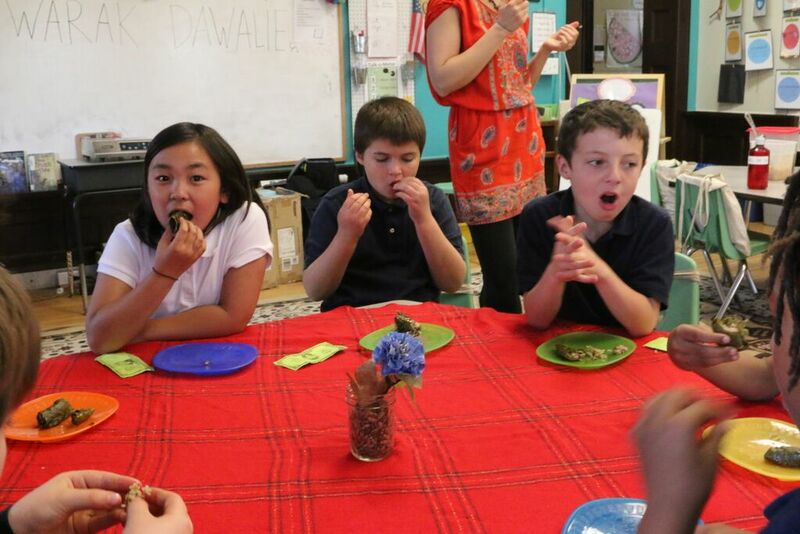 When the food was ready, the students ate the warak dawalie that they had prepared, comparing and contrasting the flavors to other foods they are familiar with.